Yes! Kids Can Cook also. Ayam Brand™ newly introduced ‘Kids Can Cook’ campaign saw children from participating charity homes learning how to cook simple, well-balanced, nutritious meals under the guidance of celebrity Chef Loke from T-Garden Cooking School. The children had the opportunity to experience being chefs for one day at the professional kitchens of the Starhill Culinary Studio. The latest adidas ClimaCool Anti-Perspirant was launched at AK Rooftop, Avenue K Shopping Mall with more than 500 participants including celebrities Sharifah Sakinah, Mark O’dea, Thanuja Ananthan and Jojo Struys achieved 60KM in an hour. 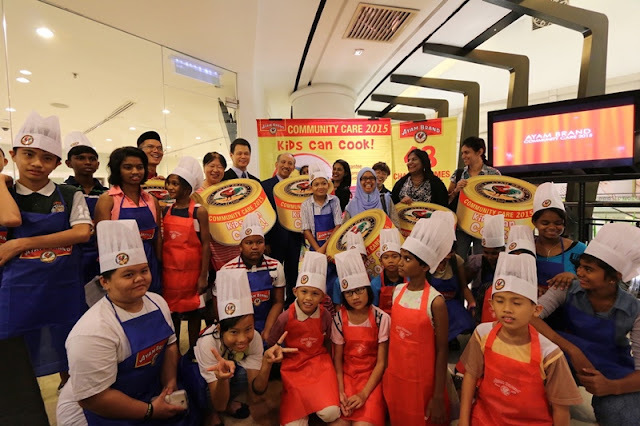 In true Japanese fashion, ISETAN Kuala Lumpur celebrating its 25th anniversary with a host of festivities and initiatives as well as to give back to the community. The first store at Lot 10 in October 1990 and has since opened up at Suria KLCC in May 1998; The Gardens Mall in September 2007 and 1 Utama Shopping Centre in April 2012. It was a warm and sparkly night to remember at Sungei Wang Plaza this Mid-Autumn Festival Celebration 2015 themed Sungei Wang Plaza Thousand Lanterns Parade. There were lots of colourful lanterns around the entire mall.